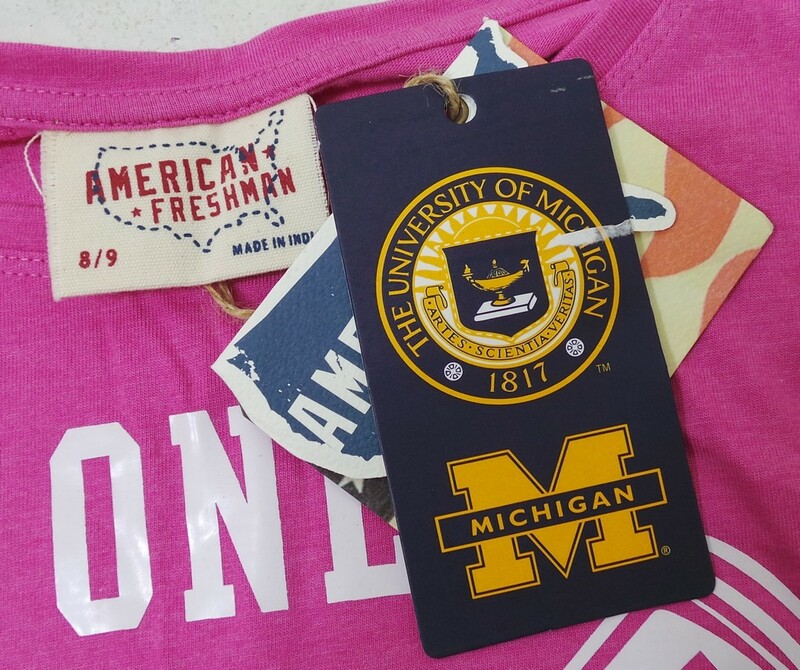 You will receive 10 American Freshman Michigan Girls T-Shirt. 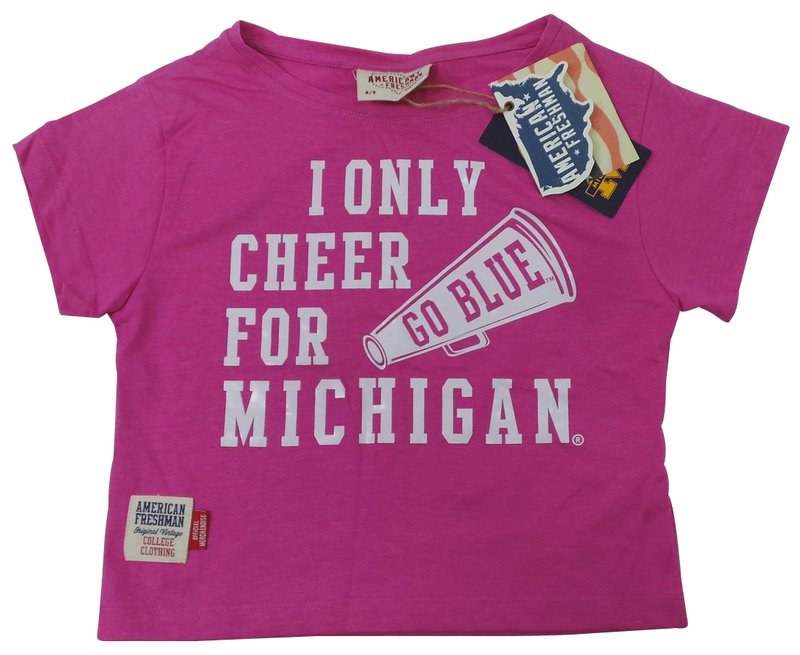 Girls official college athletics merchandise from American Freshman. A pink short sleeve style with a white 'I ONLY CHEER FOR MICHIGAN' print. Also features a 'GO BLUE' megaphone print. 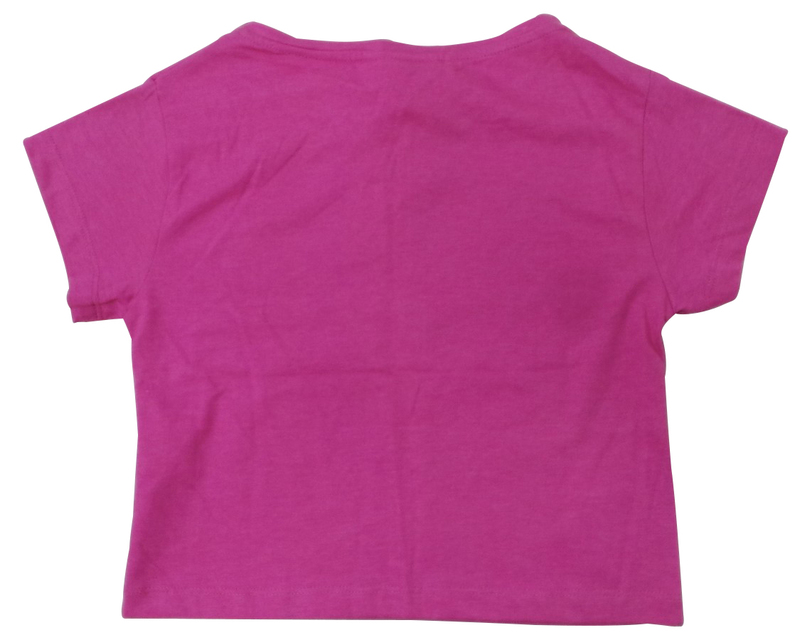 A mixture of childrens sizes will be included.